Cat6 high density patch panels provide the performance needed for present and next generation data communications networks and applications, including Gigabit Ethernet. The high density format is ideal where cabinet space is at a premium. 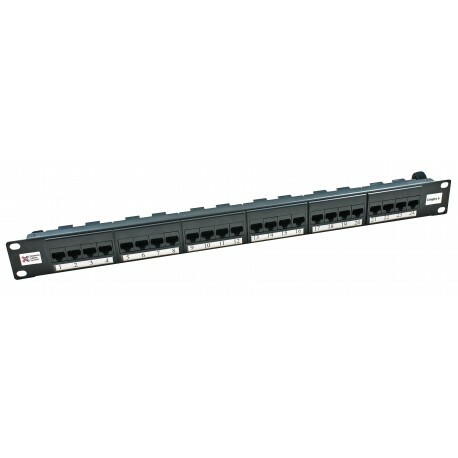 Available in a 1u 24 port format, these Cat6 high density panels achieve optimum transmission performance by incorporating the highest quality components and innovative on-board compensation techniques. The front of the panel features write-on designation labels for each port as well as individual outlet numbering.